Super long lashes are at the top of the list of trends to follow this winter and who better to look for inspiration than our old favourite, Twiggy. For maximum effect opt for false individual lashes on the lower lids, slightly spaced out to achieve a doll-like look. 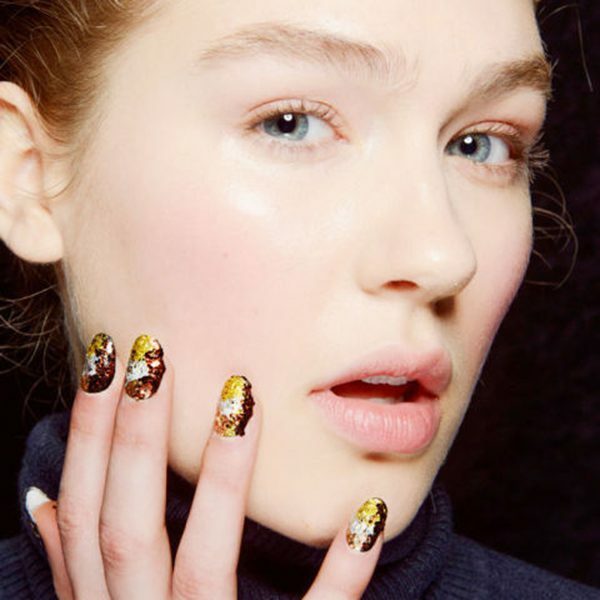 Apparently, all that glitters is gold with this new winter nail trend! Glittered cuticles, gold-flecked fingertips and gilded talons are looks right off the runways – and a perfect look to roll out for the upcoming party season.